Hopefully everyone had a pleasant holiday season. Only weeks into the new year and already some interesting gaming news has happened. Noted hacker group fail0verflow has hacked the PlayStation 4, running a custom Linux port on the system. Linux has been run on prior Playstation systems, usually via USB boot, but no one expected it to happen on this system so quickly, with rough estimates of a hack being months, maybe years, down the line. A PlayStation hack should come as no surprise to gamers, not with the PlayStation’s history of lackluster security. Fail0verflow has hacked the PlayStation 3, as well as the Wii and Wii U before. 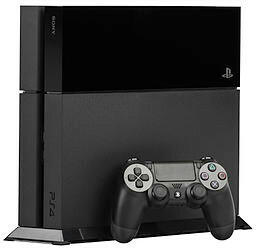 PS4 uses FreeBSD and the browser Webkit, both of which are said to be relatively easy to exploit. The PlayStation’s online network has been prone to security breaches as well, with the latest incident taking place only three days into the new year. Fail0verflow posted a video demonstration of their custom version of Linux running on Sony’s console, taken from a Lightning Talk at the Chaos Communication Congress in Hamburg, Germany in late December, and have released their Linux port on GitHub. Initially the group had little interest in the project, citing the Playstation 4 and Xbox One as little more than “glorified PCs.” However, while working with the system they discovered that in actuality it was not as close to a PC as they’d initially thought, yet similar enough to use to their advantage. At present the full hack isn’t publicly available, nor is fail0verflow interested in releasing it, telling users to look elsewhere. Among the primary reasons for the decision are fear their work will be misused, possible legal issues, and that releasing the exploit would reveal information that could potentially enable piracy. Their prior exploits on the Wii and Wii U were released primarily to drive the homebrew community, but their release ended up resulting in piracy. They hope to redirect future users to reverse engineering instead of focusing on running Linux. which would be of little help to pirates but a bonus for the community. Another item of note: Over the holidays there was an incident in which Steam users’ personal information was leaked due to a configuration error. The event, dubbed Steam’s “Christmas fiasco,” generated pages with private account information that included billing addresses, partial credit card information and more being shown to unintended users. Luckily, there was not enough information to allow the hijacking of accounts or credit card fraud. Still, many were alarmed. It’s estimated that around 34,000 users were affected. Valve is taking the issue seriously and has issued an online notice about the incident, assuring users that they acted as quickly as possible and that everything is now under control. We’re currently in the midst of our 2016 Indiegogo fundraising drive. Your support is crucial. Won’t you please visit our fundraising page and make a contribution to support FOSS Force? I think it’s great that it’s been done, and the specs of the PS4 aren’t bad for a $300 Linux computer. But you can get better graphics card driver support, plenty of computing power, and plenty of day to day usability – if not gaming – from a used $300 PC or even a carefully budgeted new one. I like the fact that hackers (in the non-evil sense of the term) are working on it, but I wouldn’t get one. Mike S, I’d like to see that better used pc as well as that carefully budgeted new one as well. Please and thanks. Everyone, well ok, most people want an all in one machine to play games on, do real work with and make video and phone calls from. Ebay. I just went to computers, searched based on a $200-$250 price range with the “No Operating System Installed” option, and started looking. $250 + $42 shipping gets a used Dell XPS 8100 with an older Core i7-260, 8GB of RAM, older Nvidia GT(X?S? I can’t remember) 240 card, 1TB storage. Install your Linux distribution of choice, and you’re off to the races. For a new machine, for anything that uses a lot of single-threaded power (like web browsing, which is what I do most) unfortunately Intel has AMD creamed. So the latest $60 dual core Pentium G4400 will beat the PS4 handily for most day to day tasks. Small motherboard, 8GB of RAM, mini case, integrated graphics, 500GB hard drive, and you’ve got something better than a PS4 for anything but gaming for the same price. Neither of those machines will do cutting edge Linux gaming, but the PS4 won’t either because the powerful onboard graphics don’t have a good Linux driver. I agree on the Nvidia Shield TV. If Nvidia had a page on their website with instructions for installing a mainstream Linux distribution on it, I would already own one. Hey guys and gals, we’ve got the coolest perk ever for our Indiegogo campaign, and we’re sharing it with you here in the comments section before announcing it on our front page. We’ve heard from you that getting through the captcha when you’re making a comment can sometimes be a pain. Well, now you’ll be able to post comments to our articles simply by typing your comment and clicking “Post Comment.” No captcha or filling in the email text box when you want to make a comment — and you’ll be able to edit your comments after you post them as well, just in case you made a typo. Our “Frequent Commenters Membership,” available through our Indiegogo fundraiser, gets you your own account on FOSS Force. You login to your account and all of your commenting is captcha free — and the post will automatically go up using the username you give us when we set-up your account. In addition, after we get ten or so of you signed up, each week we’ll offer a discussion topic which will only be available to logged-in members. And down the road, we have even more ideas we might implement. The memberships are available for a $25 contribution to our Indiegogo fundraising campaign. This is just one way we’ve come up with to say thank you for your support. To claim your membership, just go to our Indiegogo page now and make your contribution!